Realistic sky, sun and moon with vanilla textures or any other pack of your choice! High-res enough to look good with HD packs. If you like this pack don't ask me if you can use it, but suggest people to use it together with your own pack, that's the whole point of format changes Mojang introduced months ago. If you want to let people know of this pack do it by posting a link to this page so I get credit and downloads. To make this pack work properly you need to mod your game with Optifine. If you don't, only the sun and the moon will change. Once downloaded, put it in your resource pack folder, start Minecraft, go to the resource pack menu, move them on top of your other resource packs and finally confirm to apply the changes. NOTE: because of how Optifine works you need to set your render distance to 6 or above or the sky effects will glitch. Also, I suggest turning off vanilla clouds so those ugly white boxes don't get in the way. Tested with vanilla Minecraft, Misa, Equanimity, Pixel Perfection, Alvoria's Sanity and Coterie Craft; PR Atmosphere shouldn't give issues with any pack regardless of version and resolution, as long as it doesn't add a huge amount of sky boxes itself. This pack is included in the Pixel Reality resource pack, you might want to check it out if you need a realistic 16x pack. 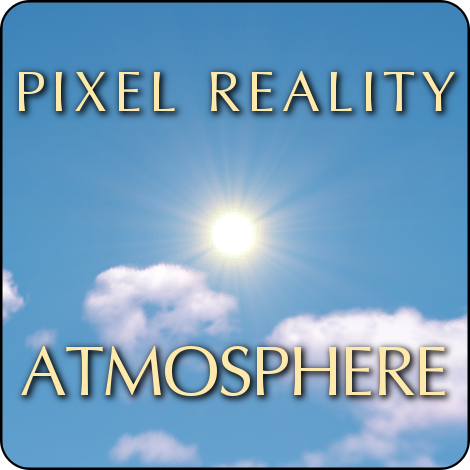 Also check Pixel Reality - Luminance: it adds realistic light effects to vanilla or any pack, it's a good companion to Atmosphere if you want to give a realistic feel to your favorite pack. In order to make this pack work you must turn on custom sky in Optifine's options; also, it your view distance is very short the skybox is not rendered. Does this pack have a 'full' version? No, there's only one version. 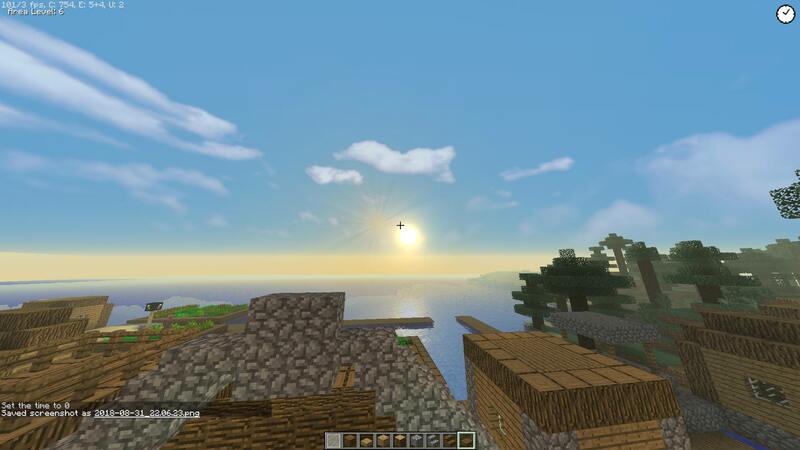 Maybe you're using a mod or shader which displaces the sun? 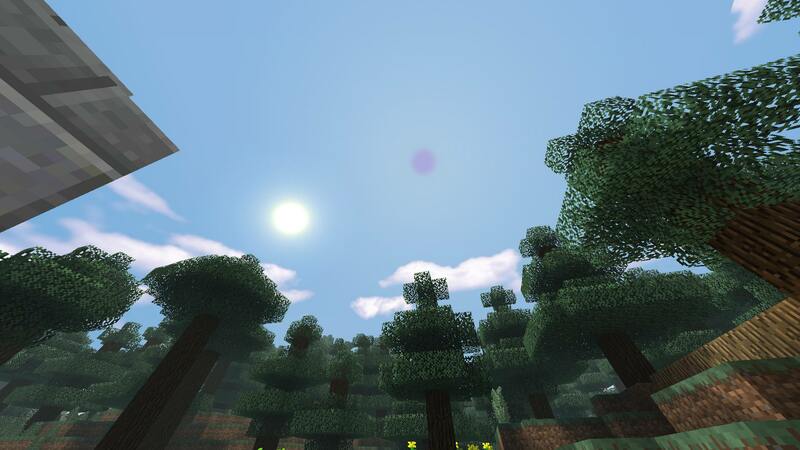 It's actually made by two layers, the regular sun texture and a skybox for additional effects, but if a mod/shader moves the sun around the skybox won't move with it. If so, I can't fix it, sorry. Can I use it in my public modpack? Nope. This pack is "all rights reserved" and, I said in the OP, you can't release it by yourself but you should rather tell people to use this pack on top of yours, with a link to this page.